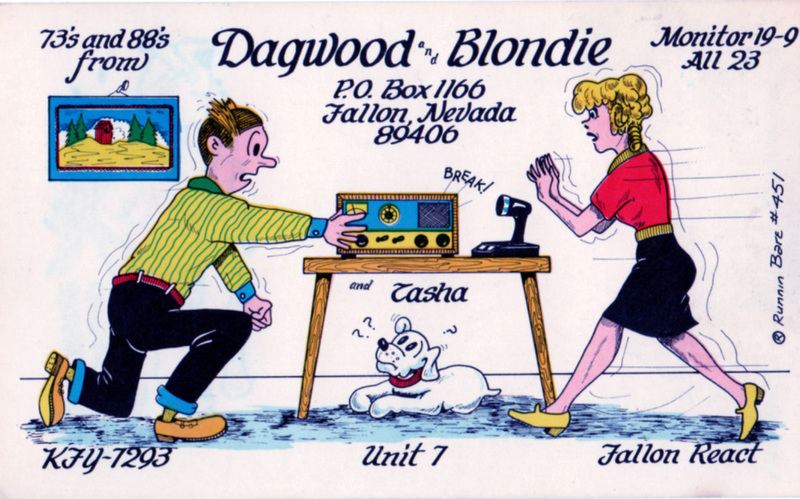 I don’t know much about QSL cards, but I do know this: ham-radio operators have swapped them for many decades as a way of recording where their signals reach. 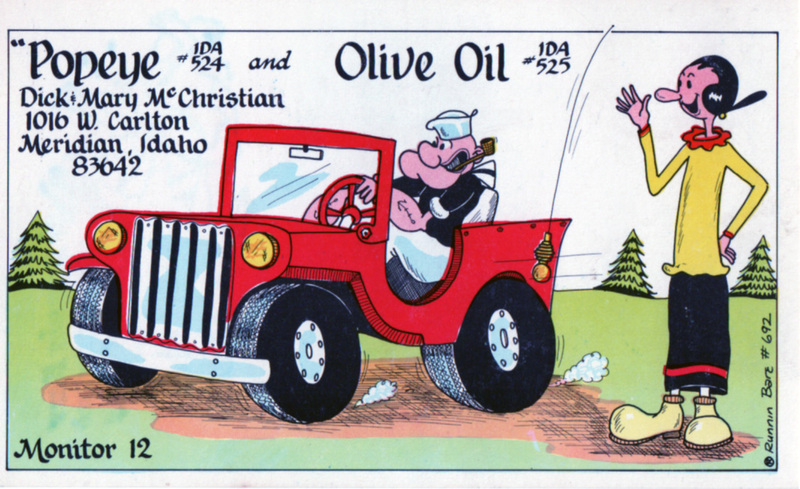 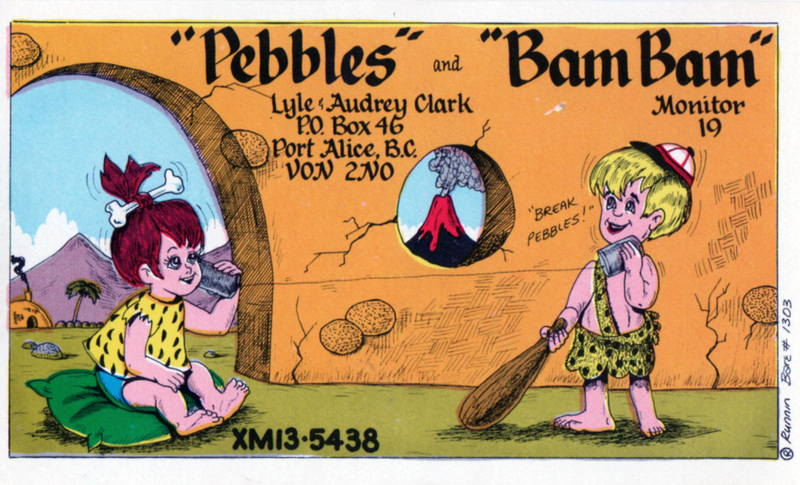 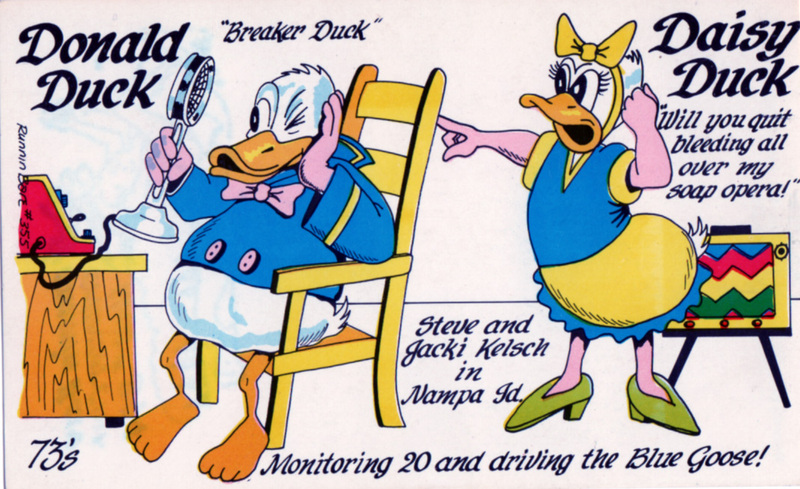 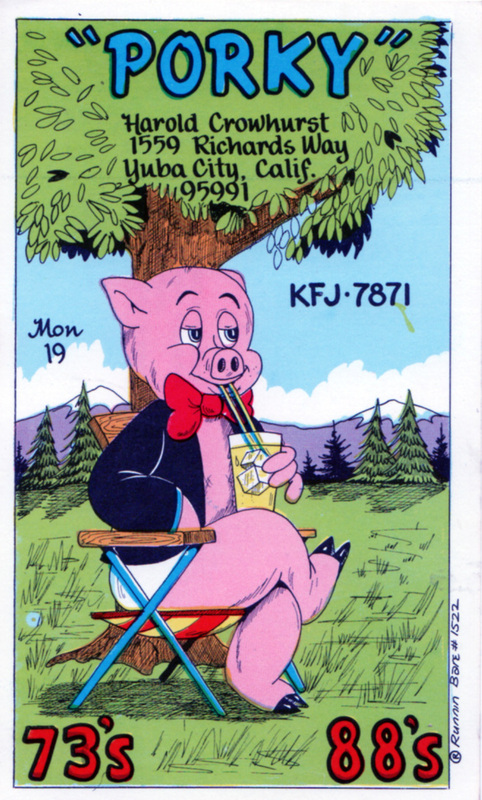 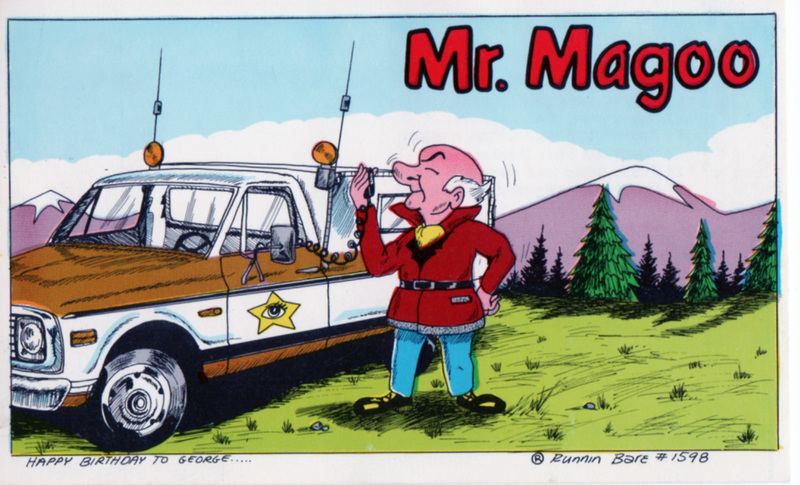 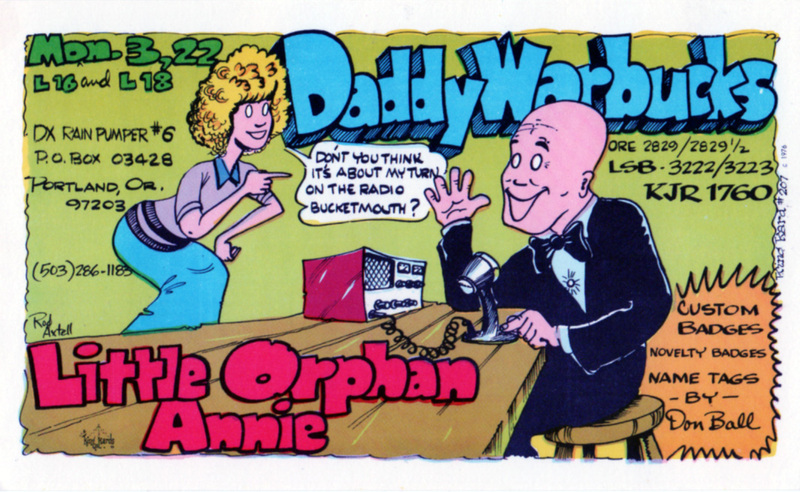 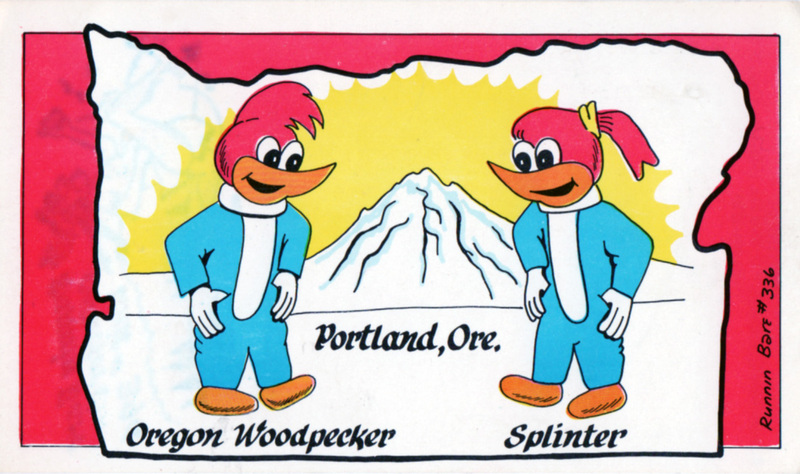 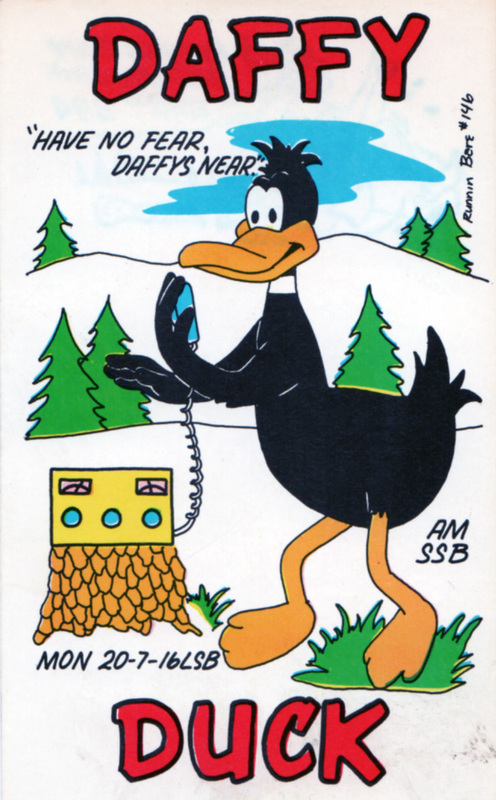 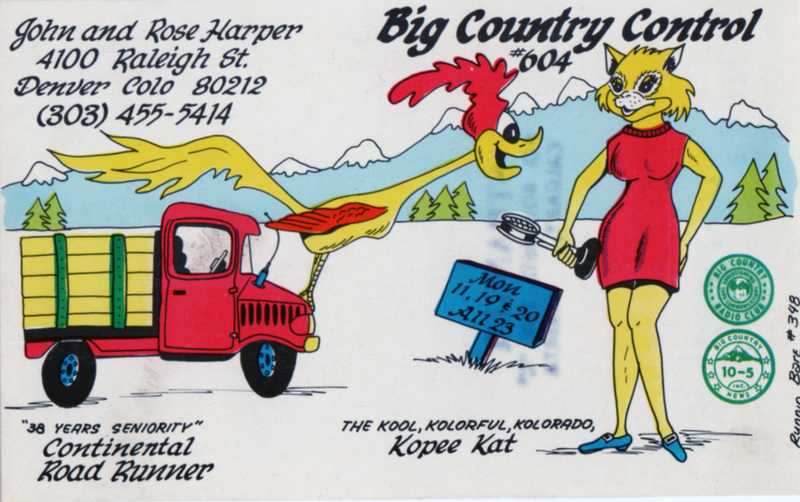 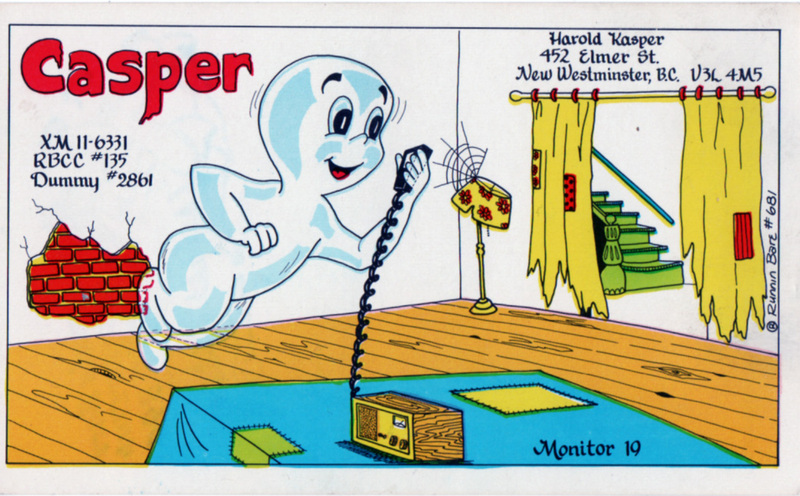 The custom spread to CB radio, and cards with cartoony caricatures of the operators in question became popular. 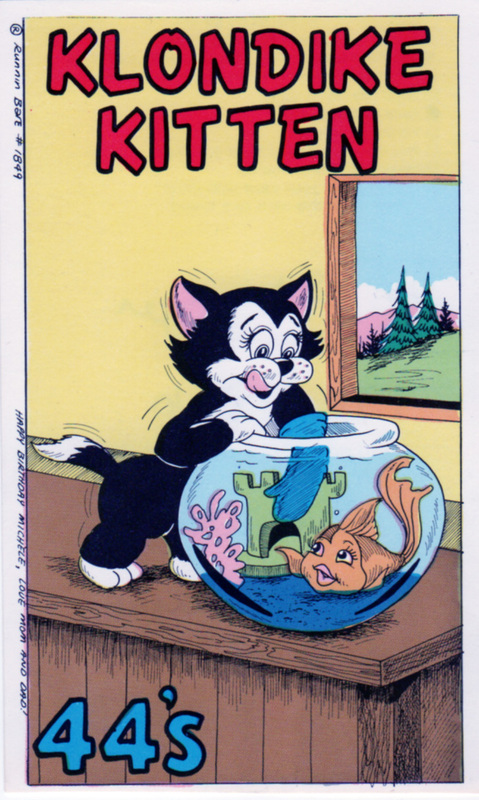 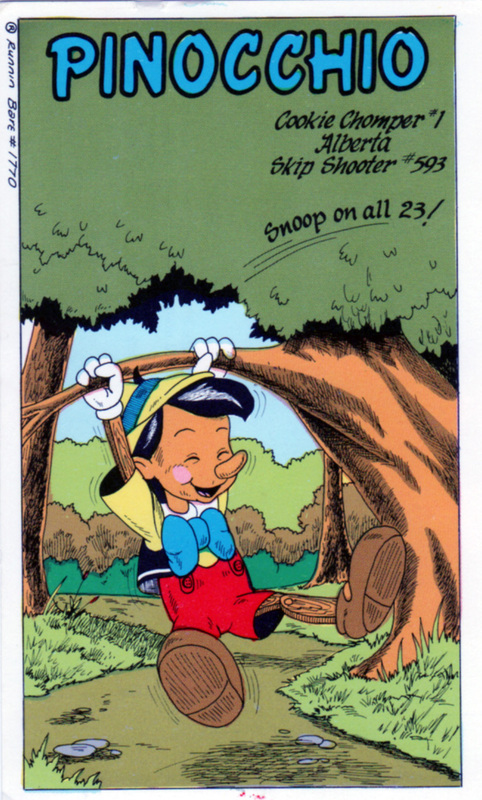 In some cases, the cards just used unauthorized versions of well-known characters. 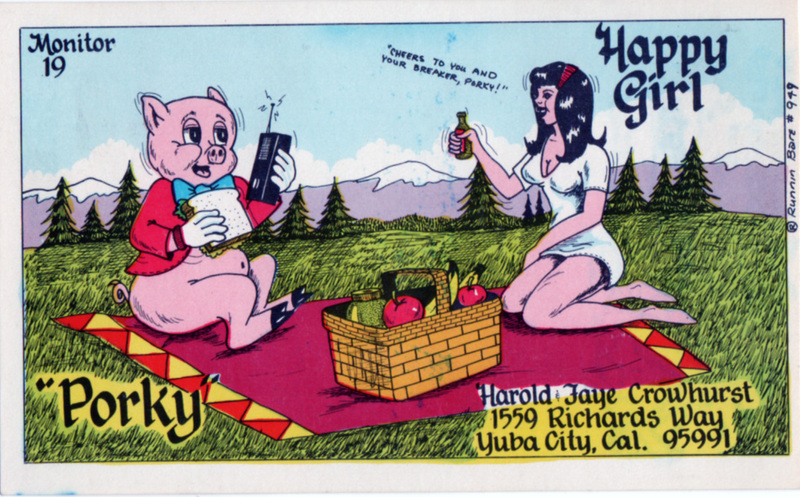 These are some of those cards. 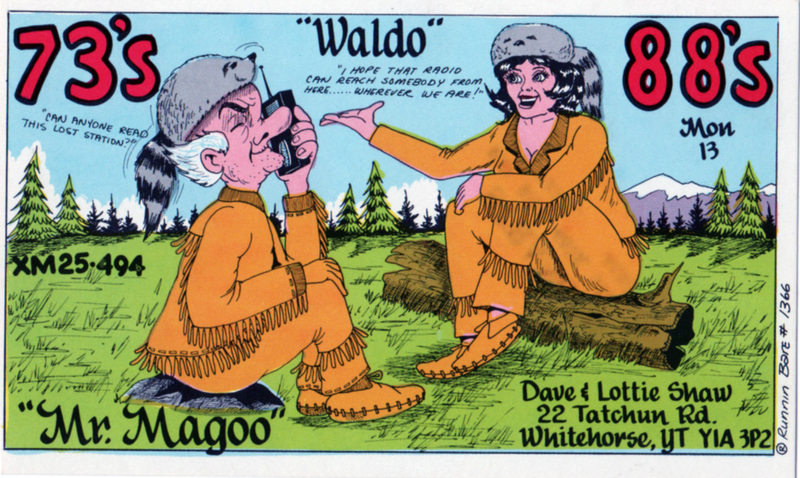 I believe they date from the 1970s. 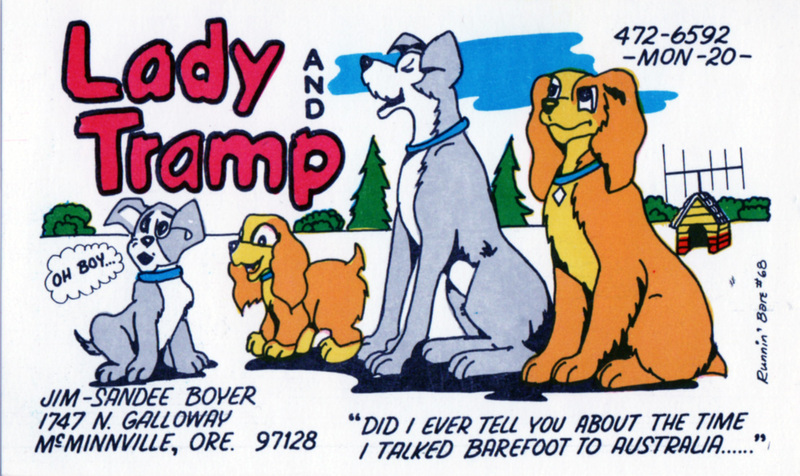 Most of these were done by a person or organization known as Runnin Bare. 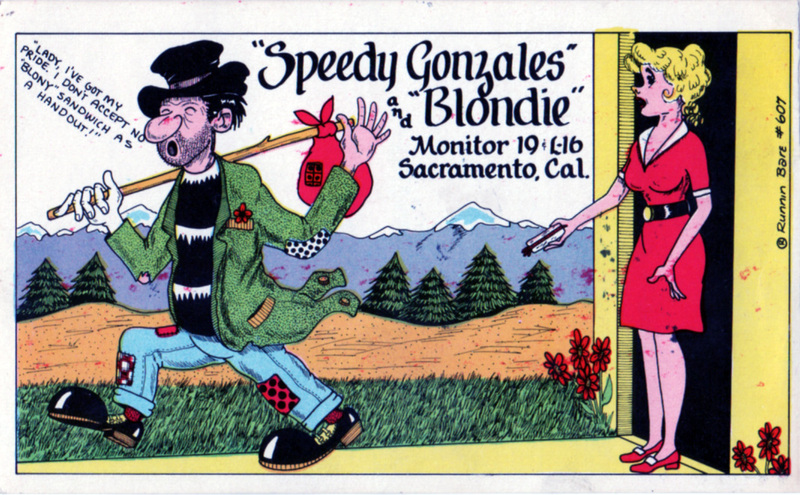 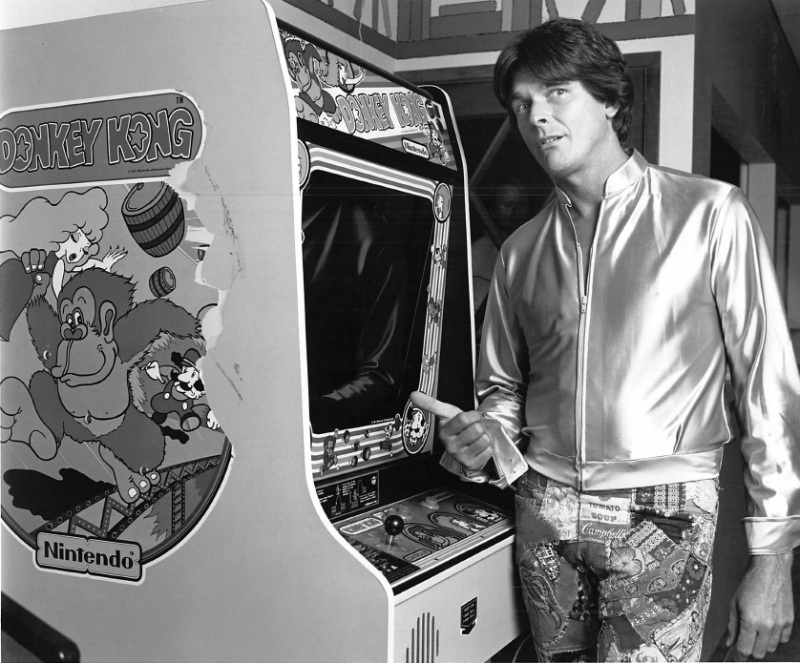 I love ’em — especially how they make everyone from Porky Pig to Blondie look kind of like a trucker. 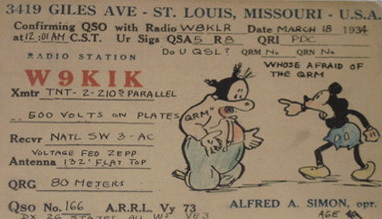 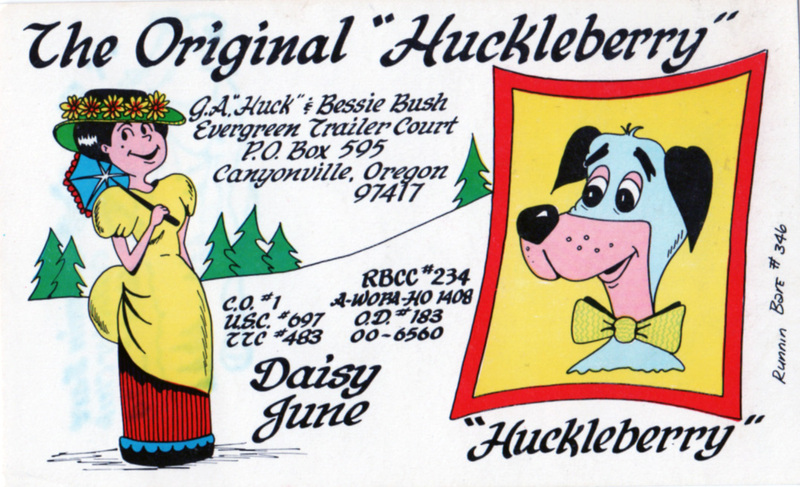 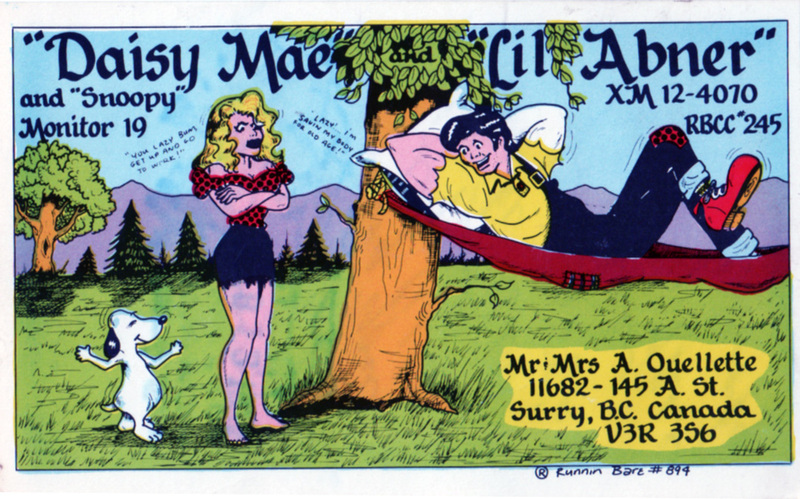 There seems to have been a long tradition of using famous characters on QSL cards — here, borrowed from an eBay auction, is a 1934 example.